I'm late with today's challenge but I still managed to get it done. 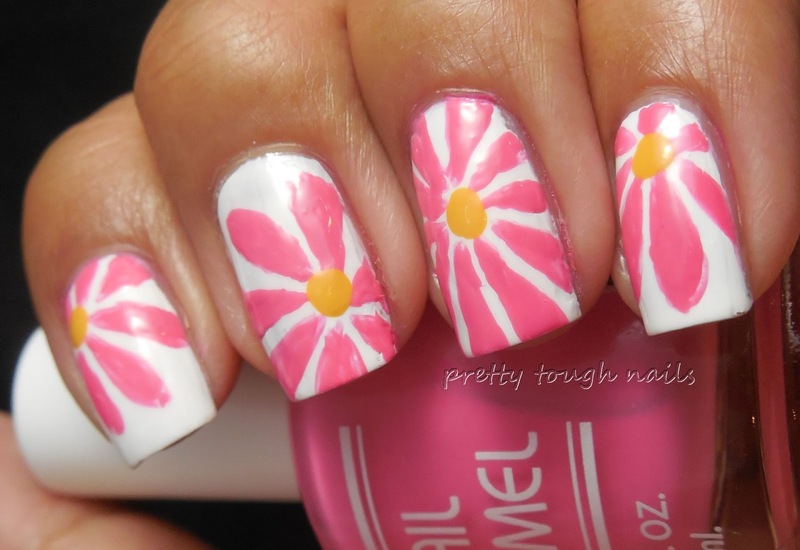 For today's floral nails, I decided to use inspiration from one of LO's jumpers and Simply Rin's flower mani. 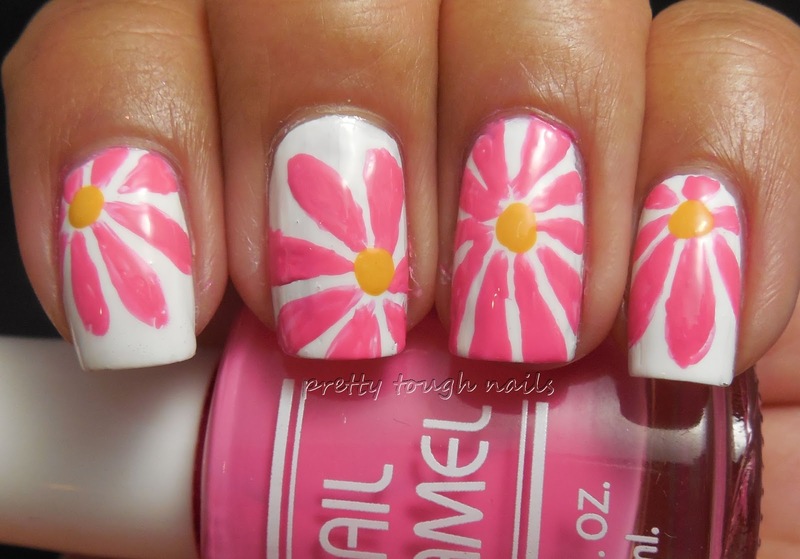 I used Zoya Purity for the base, and then painted on pink petals with Bettina Tulipani and dotted centers with American Apparel Manila. This is finished with topcoat. It's not the cleanest nail art and I've got a ways to go before I master the brush, but I like the way this one turned out. Now I've got to move onto the next challenge to catch up! Take a look at what the other ladies have cooked up for you today!! Just darling - so cheerful looking! thank you!! this is really a sweet design. Awesome work, Thithi! 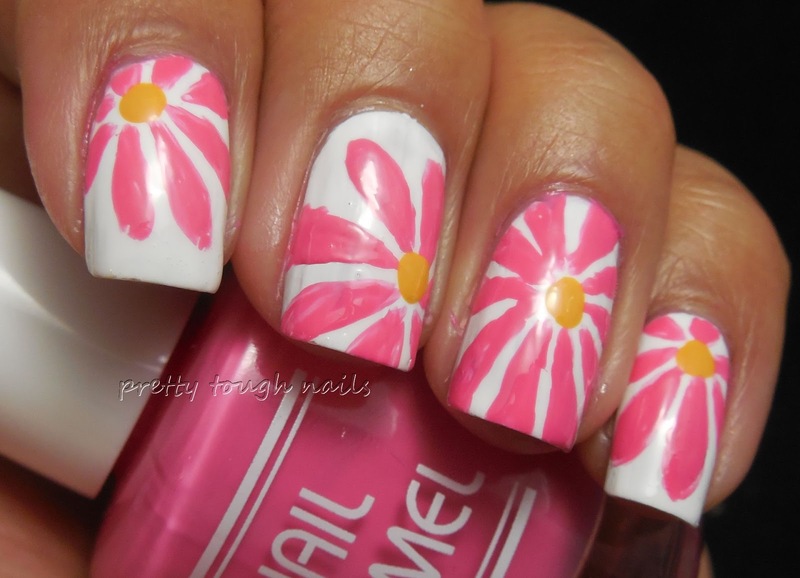 I love your placement of the flower eyes and that the petals are so long and graceful, you've captured some sweet movement in this manicure! That design would make a great fabric. It's a messy mani but I truly appreciate the flattery! I immediately recognized the Rin design in here! You did a great job emulating the look! Hers was much cleaner!! Wish I could pull it off as well as she did!